Dr. Francis Shin was born in Syosset, NY on the north shore of Long Island. He completed his undergraduate studies at SUNY Binghamton and studied dentistry at Columbia University. Upon graduation, he completed a general practice residency at the Long Island Jewish Medical Center, where he was distinguished as chief resident. Dr. Shin has practiced in Connecticut since 2006, after purchasing the practice from Dr. Stephen Katz. He is on the attending staff of Long Island Jewish Medical Center and North Shore University Hospital and is a basic and clinical trainer for Sirona Dental Systems’ CEREC technology. 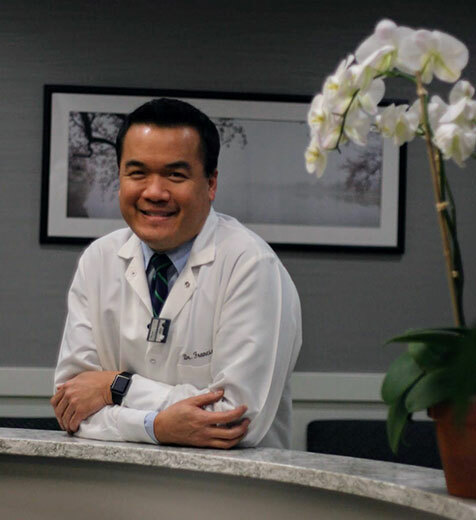 Dr. Shin and his staff use the latest in technology to provide his patients with outstanding dental care in a comfortable and pleasant environment. Call us today at (203) 625-0301.